Fallout 76 will not release on Steam. Instead, Bethesda’s next game in the series, a large-scale survival game, will only be available via the company’s own Bethesda.net client. Neither the game’s upcoming beta, not its full release, will be available on Valve’s platform, according to a recent statement. In order to access the beta (which is yet to get a release date at time of writing, but is expected some time in October) you’ll need to pre-purchase one of the versions of the game. 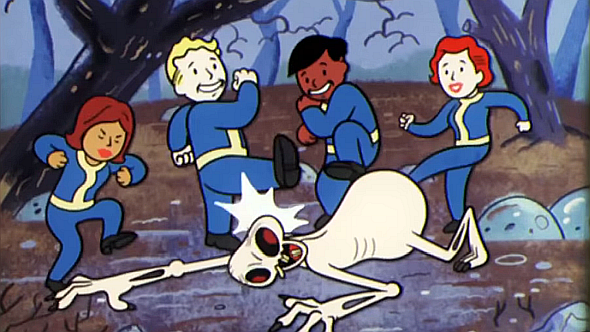 But in order to actually head out into the West Virginia Wasteland, you’ll need to download and sign up to Bethesda’s individual client as well. In a statement issued to PCGamer, a representative for Bethesda said that “the PC version of Fallout 76, both for the B.E.T.A. and the launch, will be available only via Bethesda.net, not on Steam.” On top of that, an interesting nugget from the beta’s FAQ says that it will be the full version of the game, and that all of the progress you make will be carried over to the rest of the game on the Fallout 76 release date, November 14. The decision from Bethesda is a surprising one, to say the least, as many of its previous titles have thrived on Steam. Skyrim still has a healthy community years after its first release, and all three Fallout titles sold well – there are still more than 12,000 people playing Fallout 4 right now, according to SteamCharts. An obvious advantage for Bethesda is that they won’t have to pay Valve a 30% cut of their PC sales if they ship their new game through their own platform. That said, there’s a distinct possibility that not selling your game on the biggest PC platform could lead to a loss of sales. It’s possible that Fallout 76 will eventually come to Steam, but that might not be for several months.